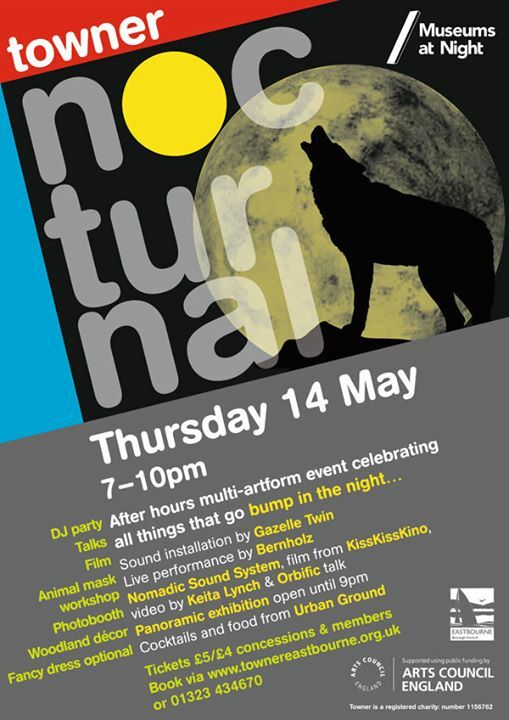 This Thursday, May 14th, I will be appearing at Eastbourne’s Towner Gallery as part of their Nocturnal event. I will be talking twice during the evening, about night, sleep and dreams. The research I’ve done has been fascinating, and I am looking forward to sharing it. There are a load of other things happening – music, mask-making, an awesome cocktail menu, video and a sound installation from Gazelle Twin. It should be a fantastic night!